Happy May! 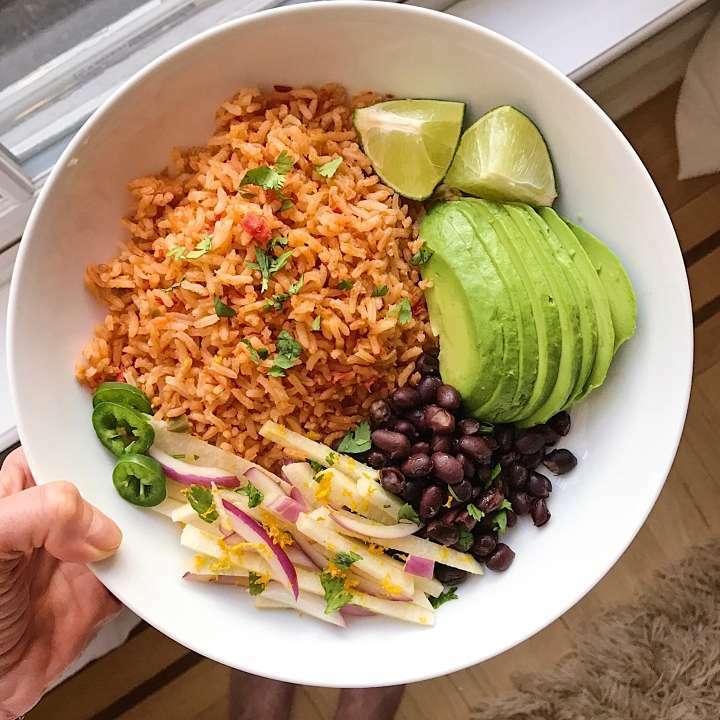 Celebrating Celiac Awareness Month with a Gluten-Free Go-To… our favorite MEXICAN RICE. Super easy to make, the rice is briefly cooked on the stove with some tomatoes, onions, jalapeño, garlic and vegetable broth, then baked in the oven. Besides tasting AMAAAAZING, I love that everyone can build a meal around it… It was grilled chicken for the boys, chicken & beans for my husband and this is my plate: Mexican rice, zesty jicama slaw, black beans + avocado. Delicious and so satisfying! More on Celiac Awareness Month 👉As many of you know, we are the Healthy Gluten-Free Family in support of my son who was diagnosed with celiac disease 8 years ago this month. So for the month of May, I’ll be sharing a series of blog posts with a behind-the-scenes look at our experience with ALL THINGS CELIAC. You can read the today’s post here.. The Mexican Rice is a fan favorite -- super easy to make and packed with flavor. The jicama slaw is a great add to many dish --Crunchy, tangy and yummy. Both recipes adapted from America's Test Kitchen, Serve with black beans or grilled chicken, plus some guacamole or avocado. To make the jicama slaw, combine ingredients and enjoy. This Mexican rice recipe turned out so good! I’ve tried other recipes, but often they cause the rice to become too dried out and/or not flavorful enough. This recipe is easy to make, delivers on what it promises and was a hit for my whole family. Yay! So happy it worked out so well and that you all loved it! This rice has become a staple in out rotation– we literally make this several times a month!